With one round still to play, Viswanathan Anand has won the World Candidates Tournament and will have another crack at Magnus Carlsen in the World Championship in November. He is a point and a half clear of the rest of the field. There are more details here. 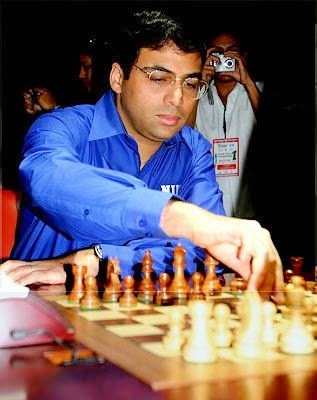 The oldest competitor in the competition, Anand was written off by most chess pundits before play started as 'yesterday's man'; odds of 10-1 or higher could be obtained. With three wins, ten draws and no losses from his 13 games, he is clearly in good shape and will no doubt be a tough test for Carlsen.